adds greatly to the available pool of information. and adds greatly to the available pool of information. wounded or falling ill and their accounts are included in this book. provide an illuminating picture of what was a great German disaster. 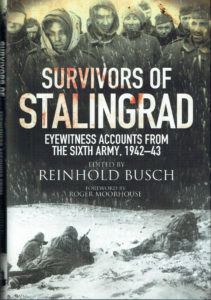 POWs were starved and brutally treated by the Soviets. the 290,000 soldiers who found themselves in this hell.